Melting Point: 884 Deg. Cel. 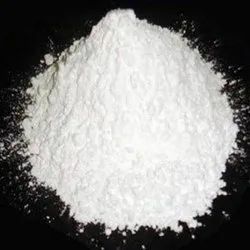 Synonyms : Zinc ammonium chloride CAS No 7646-85-7 molecular Formula ZnCl2.xNH4Cl Molecular Weight 136.30 Description White Crystalline. we are manufacturers of prawn culture chemicals. we manufacture all types of prawn culture chemicals.if you require any leave us an inquire. We manufacture and sell tile epoxy grouting raw material. Imidacloprid is used to control sucking insects, some chewing insects including termites, soil insects, and fleas on pets. In addition to its topical use on pets, imidacloprid may be applied to structures, crops, soil, and as a seed treatment. 4-Hydroxybenzaldehyde is one of the three isomers of hydroxybenzaldehyde. It can be found in the orchids Gastrodia elata and Galeola faberi. It is also found in vanilla.